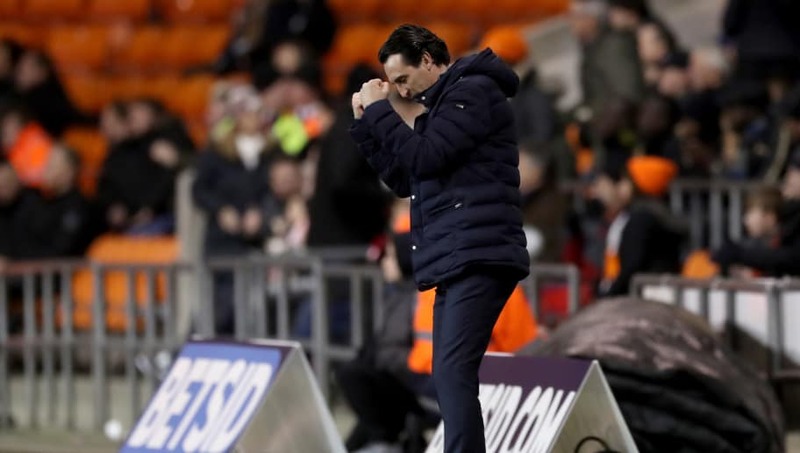 Arsenal safely sailed through into the fourth round of the FA Cup after brushing past League One side Blackpool 3-0 at Bloomfield Road on Saturday afternoon. Despite the numerous changes to the starting eleven, Unai Emery's side were in total control from start to finish with academy products Joe Willock (2) and Alex Iwobi helping the Gunners to a comfortable victory. Check out four things we learned from the Gunners' win on Saturday evening. The Gunners' defensive crisis just never seems to end does it? Just as Unai Emery thought he had selected a back four with everyone playing in their natural position, club captain Laurent Koscielny was forced to pull out just minutes before kick-off with a back injury. The late withdrawal meant Stephan Lichtsteiner was pushed into an unfamiliar role at centre-back and Carl Jenkinson was promoted from the bench into the starting line-up. 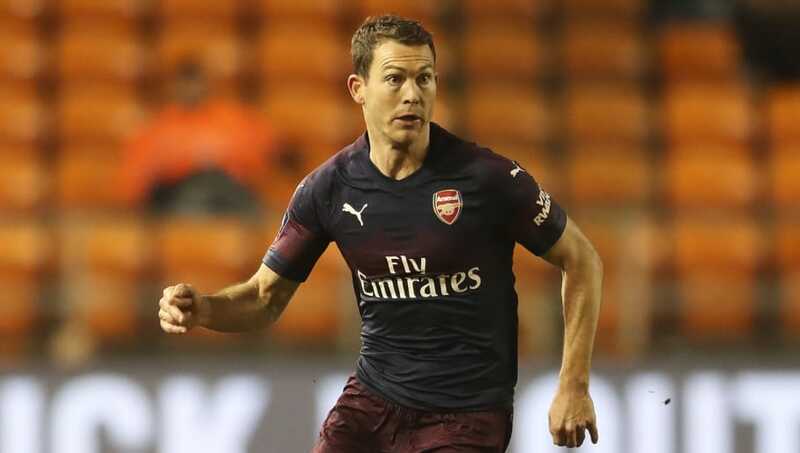 Up against imposing Blackpool striker Armand Gnanduillet, Lichtsteiner struggled both positionally and physically, and looked uncomfortable throughout the game under the long ball. With Rob Holding out for the season, and Shkodran Mustafi seemingly injury-prone, Arsenal desperately need either a short-term or long-term fix at centre-back in this window, or else they risk jeopardising their season. 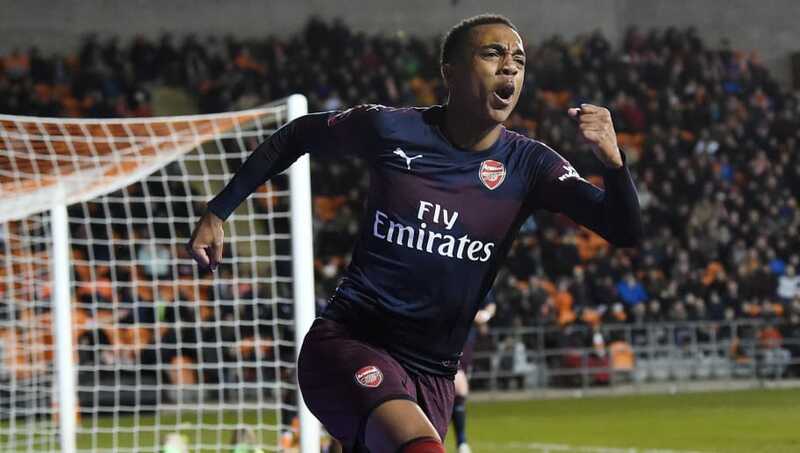 Joe Willock was undoubtedly the star of the show, as the 19-year-old picked up two goals in the first half to set the Gunners on their way to victory. Starting in an advanced midfield position just behind the striker, Willock was a powerful presence in midfield and looked calm in possession. With rumours beginning to pick up pace over Aaron Ramsey's potential departure to Juventus, Arsenal will be losing a player who has scored 61 goals for them from the middle of the park. Willock's brace against Blackpool was predatory, one from a rebound off the bar, and the other a back-post finish. Both were clinical and showed the Arsenal academy product has an eye for goal, and that is something Arsenal will hope continues in the future. 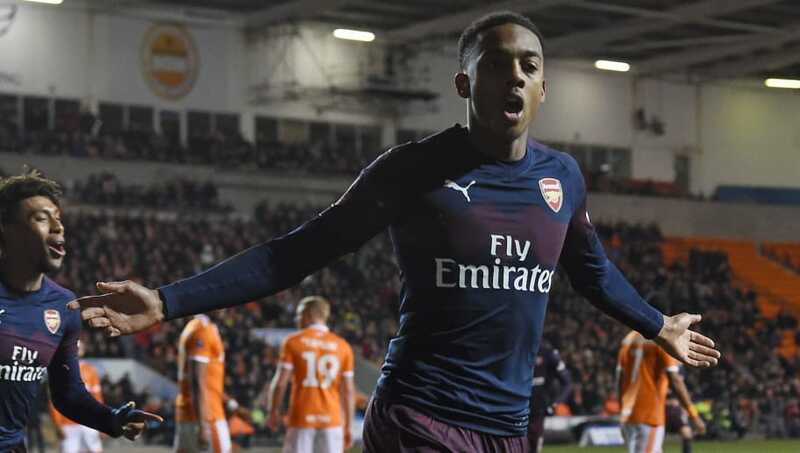 Whilst Joe Willock had an evening to remember, fellow academy teammate Eddie Nketiah had one to forget. The 19-year-old striker was guilty of missing two gilt-edged chances in the opening ten minutes to get the Gunners off to a great start, before missing a third opportunity just before half-time. In the second half, the youngster badly faded and struggled to hold up the ball as Blackpool grew into the game, and was subsequently taken off for Alexandre Lacazette. 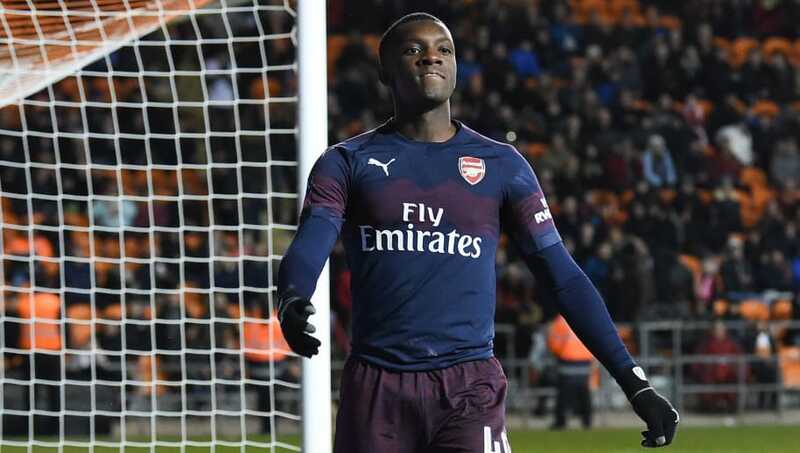 After bursting on to the scene last season when he scored twice to rescue Arsenal in the Carabao Cup against Norwich, Nketiah has now failed to find the back of the net since. Whilst his overall play on occasion was impressive and showed glimpses of his incredible potential, it may be too soon for the England U21 international to be considered Arsenal's third-choice striker after Pierre-Emerick Aubameyang and Lacazette. After openly admitting that the Gunners' main priorities this season were the Europa League and finishing in the top four of the Premier League, Unai Emery surprisingly picked a strong Arsenal side. Whilst he rotated the line-up further forward, the Arsenal boss went with a back-four of Lichtsteiner, Sokratis, Laurent Koscielny and Sead Kolasinac (before Koscielny was forced to pull out). It was clear that Emery wanted better organisation from his back-line, and going with his strongest available defence was evidence of that. In midfield, Emery gave Ramsey a start and was rewarded with another industrious performance from the Welshman, whilst the likes of Willock, Iwobi and Maitland-Niles were all energetic and dynamic from the front. With their priorities lying elsewhere, Emery will need to ensure that he gets the balance right in his rotation just like on Saturday night.